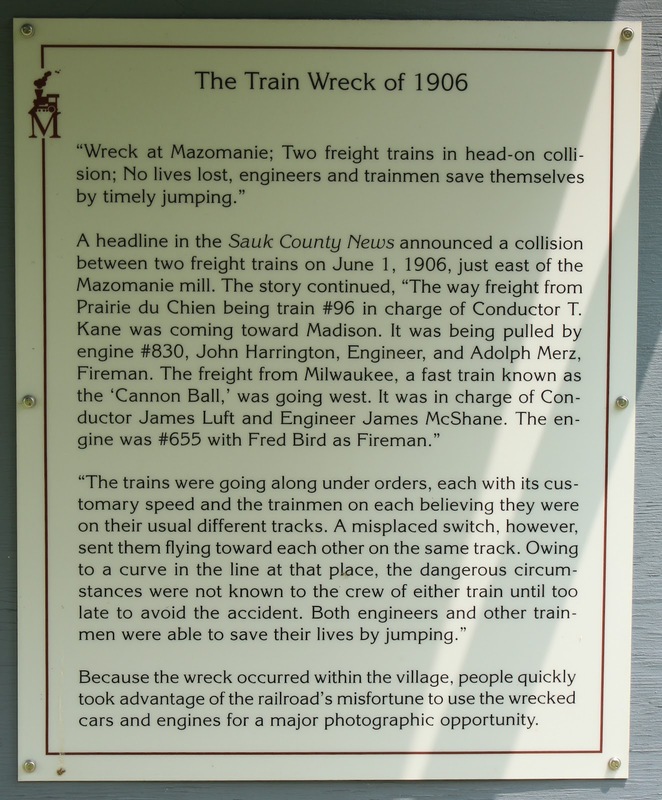 "Wreck at Mazomanie, Two freight trains in head-on collision; No lives lost, engineers and trainmen save themselves by timely jumping." 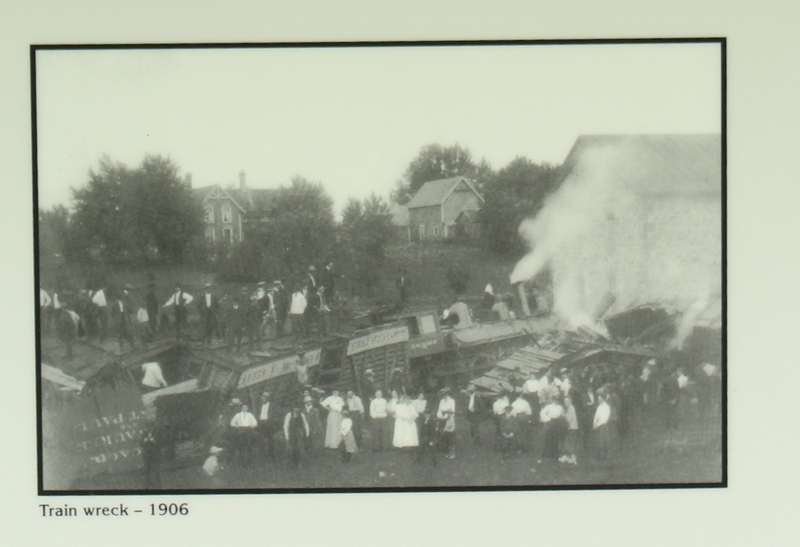 A headline in the Sauk County News announced a collision between two freight trains on June 1, 1906, just east of the Mazomanie mill. The story continued, "The way freight from Prairie du Chien being train #96 in charge of Conductor T. Kane was coming toward Madison. It was being pulled by engine #830, John Harrington, Engineer, and Adolph Merz, Fireman. The freight from Milwaukee, a fast train known as the 'Cannon Ball,' was going west. It was in charge of Conductor James Luft and Engineer James McShane. The engine was #655 with Fred Bird as Fireman." "The trains were going along under orders, each with its customary speed and the trainmen on each believing they were on their usual different tracks. A misplaced switch, however, sent them flying toward each other on the same track. Owing to a curve in the line at that place, the dangerous circumstances were not known to the crew of either train until too late to avoid the accident. 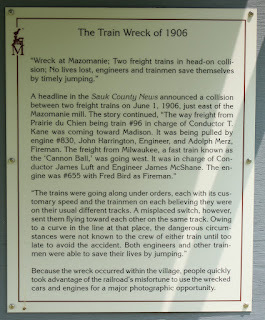 Both engineers and other trainmen were able to save their lives by jumping." Because the wreck occurred within the village, people quickly took advantage of the railroad's misfortune to use the wrecked cars and engines for a major photographic opportunity.